Liven up any classroom with this playful, light-hearted design! 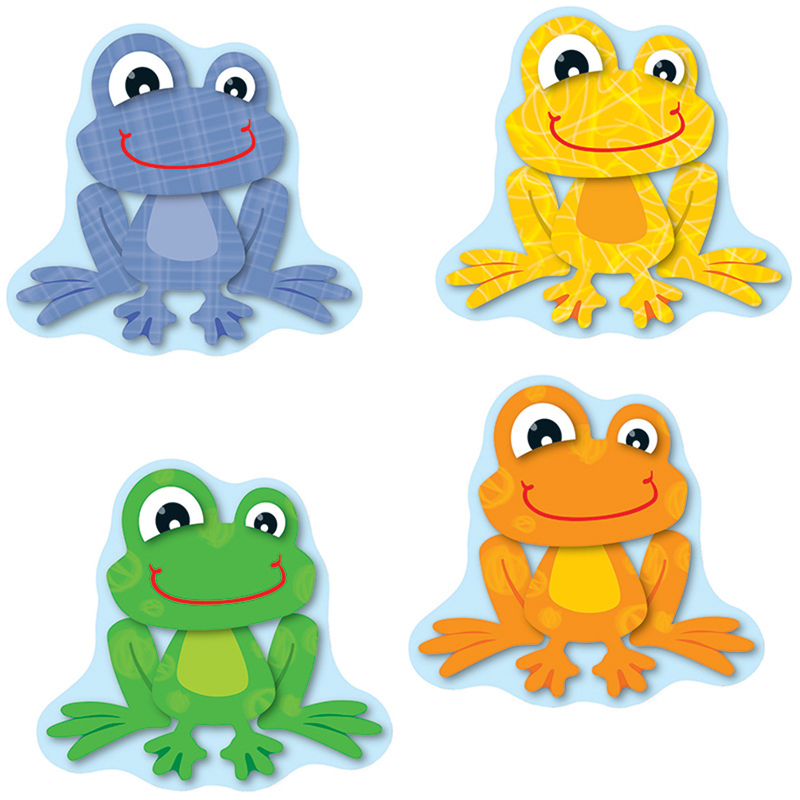 These FUNky Frogs Cut-Outs can be used for more than decoration! Use them for game pieces, to brighten up cubbies, fun name tags, reward cards and much more! This 36 piece pack includes an assortment of bold colors and designs printed on card-stock. Look for coordinating products in this design to create a lively and FUNky classroom theme!